Once you’ve made the decision to have new siding installed or to replace existing siding, an important questions comes up: siding color. With a variety of colors to choose from, you can give your home a completely new look. Consider the information in this article to help you determine which color is best suited for your home along with additional areas to consider. Make a checklist and determine the answer to each one. Once you’ve taken these steps, you’ll have a better idea about choosing colors for your home. Your neighborhood’s vibe — A good way to get an “eye” for what works and what doesn’t work when it comes to siding color schemes is driving around several neighborhoods to get an up-close look. In your own neighborhood, be aware of the types of architectural designs. Also take note of the colors in your neighborhood and be considerate when choosing your own. For example, if you live in an established neighborhood with vintage homes of wood, vinyl, or fiber cement siding in muted and soft colors, don’t choose hot pink or glaring tangerine that will make your house stick out like a sore thumb. You can still be creative and make a statement with the many colors available for siding and trim. Your Home’s Architecture — When choosing the siding color, some colors work better with certain architectural designs than others. For example, a French Country Cottage may be beautiful in a soft light blue trimmed in white but a Colonial style home would look out of place with this color combination. Consult with a professional siding specialist or contractor to help make the appropriate selection. Size of Your Home – If you rely on color swatches to make a decision, it could be misleading for the simple reason of a small swatch of dark cocoa may look beautiful in salesroom lighting but when actually applied to a large area, it may overwhelm a home and make it look gloomy. On the reverse side, if you choose a color that is too light, it may not make your home stand out but just blend in with the landscape. Your Home’s Roof Color – Most roofing materials have a lifespan of 20 to 30 years. If your current roof is green shingles, you’ll want to take that into consideration when choosing a siding color. If it is dark brown, a lighter siding color may be the best choice. If the roof has a neutral color, you’ll have more options when choosing color combinations for the exterior and trim. Your Landscape – Yes, landscape does play a role. Consider the current type of landscaping theme and how it will enhance or detract from the siding color. Your Climate – For your own visual enjoyment, take into consideration the color you choose may look bright and perky during the spring and summer but lose its visual appeal in the dead of winter. To enhance the visual appeal of the new siding, consider the colors to be used to accent around the window trimming, shutters, and deck or patio railings. Also consider the color of the doors themselves as you’ll want the front and back door color to compliment the exterior and trim colors. As a rule of thumb, select two or three shades for the highlighting in a lighter or darker hue. For example, a frame house with a green shingle roof is fitted with pale yellow siding, forest green window trim, and a deep-red door. It all blends together seamlessly with the door serving as a focal point. The weather in your region is a determining factor in the type of siding material to be installed. It can also affect the durability of the material and can affect its color. Do your research and ask the professionals about which type of paint for fiber cement or stain for wood siding will hold up to the weather in your area. When you go in to purchase the siding, ask the salesperson if there is a color tool available where you can mix and match siding colors and trims. With this tool, you can avoid the mishap of choosing the wrong colors as you will be able to see firsthand what the color combination will look like on your home. There are also free online tools available for your use. Also, take the chosen color swatches home and test them against different times of day to see what it looks like in the early morning sun, bright afternoon sunshine, and late evening glow. It’s also a good idea to dab a little color on areas next to fixed areas such as the foundation base to see the contrast between colors. 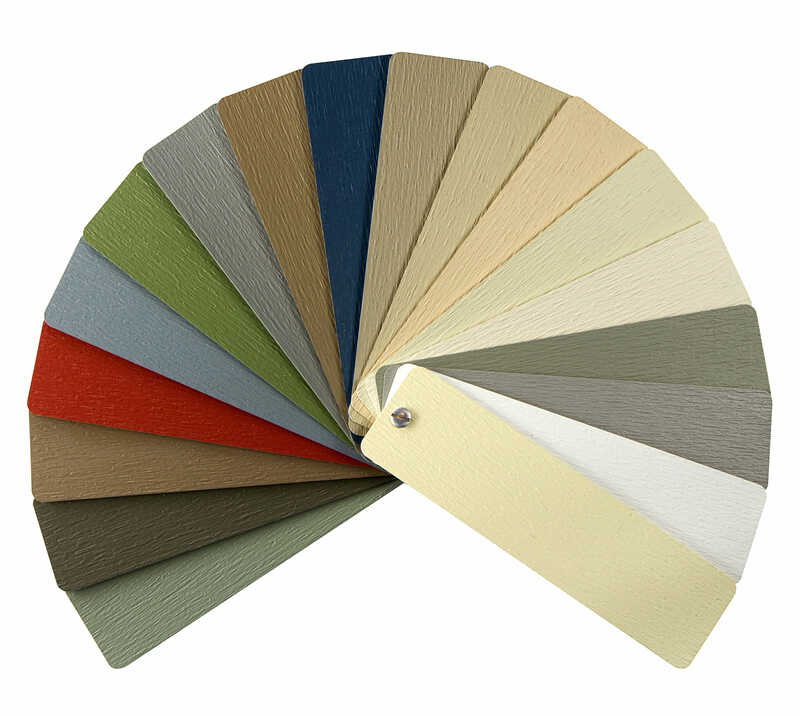 As you can see, there’s more to selecting siding color than what meets the eye. Incorporate the above information in your decision making process to ensure the best possible outcome in color themes.